While many CPA firms talk about serving clients, we do more than that. Our CPA professionals provide the catalyst that helps make your company grow and good things happen. Our 30+ years of CPA experience allows us to create solutions to the challenges you face today while always keeping our eye on the future. As you strive to move your business to the next level, we hope you will think of Balog + Tamburri CPA’s as your Virtual CFO. Relationships and ideas don’t grow by chance – they flourish as a result of hard work and mindful nurturing. Balog + Tamburri CPA’s strive to create an environment where professional relationships can prosper together. As your “Partner in Success,” our CPAs guide you toward your long-term goals, while always focusing on your short-term needs. We help you meet the challenges presented by your specialized accounting needs. Our ProfitPlus Total Back Office Support services everything from on site or remote bookkeeping services, QuickBooks Advisory services, total business and income tax planning and tax preparation, to or Virtual CFO Accounting services. 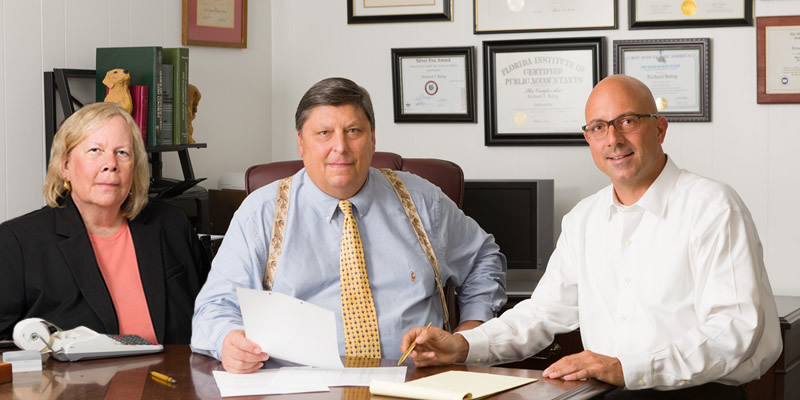 We work with your “circle of experts,” including your staff, attorneys, bankers, and financial advisors.As your CPA Firm, Balog + Tamburri gives you total peace of mind. Legislative and economic changes are inevitable and unavoidably tied to our personal, business, and financial lives. Now, more than ever, it is critical to have a CPA Firm like Balog + Tamburri to bring clarity to complicated rules, innovation to help eliminate tax traps and the experience to help you do what you do best – grow your business and profits. All client matters are handled with the strictest confidence and the highest ethical standards. Ethics remain the core of who we are.